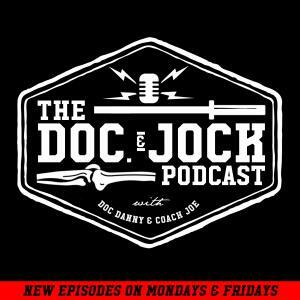 On Episode 140 of the Doc and Jock Podcast Doc Danny sits down with Chris McNamara, founder of Evolution Athletics. Chris' strength & conditioning background started as Army Ranger. As a ranger he helped develop RAW (Ranger Athlete Warrior) and that process helped him find his passion for strength and conditioning. On Episode 140 Chris talks about how his experience in the military led him to opening evolution athletics and the best practices for programming to be prepared, not annihilated. We hope this episode helps you understand that if you have a body, you're an athlete.